Why make your school playground pollinator friendly? Over the past couple of years, there has been a significant increase in the number of biodiversity projects taking place in schools across the country, as environmentalists have recognised the enormous contribution that school grounds can make to supporting natural environments and providing food, shelter and nesting sites for pollinating insects. Pollinating insects are vital to human life and form an essential and fundamental part of ecosystems across the world. The activity of pollinating insects in the UK such as butterflies and bees has been valued at an astounding £430 million to UK agriculture each year! But as more and more of their natural habitats are destroyed by development and environmental factors take their toll, the number of pollinators in the UK is now in severe decline. Any school can play its part. Many schools will cover a significant land area and host great potential to create and maintain habitats. 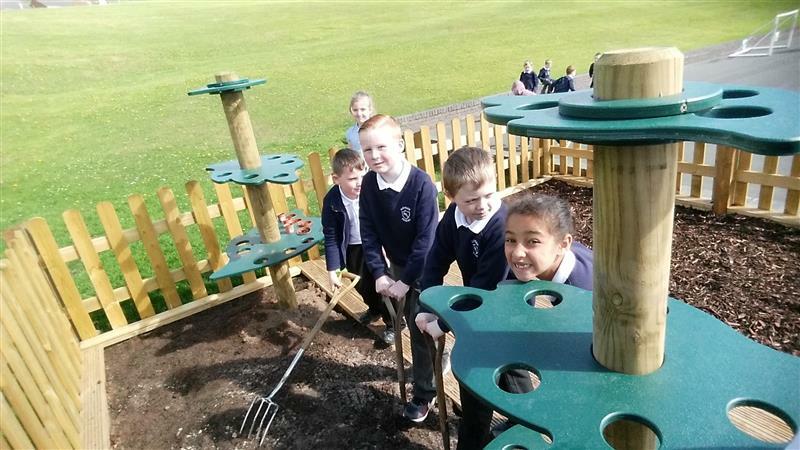 Many schools across the country are already engaged in adapting their school grounds to encourage biodiversity, and create opportunities for learning and education about the natural environment. It is essential that children and young people, as the next generation charged with responsibility for conservation and the environment, understand the threats that exist to pollinators and know what needs to be done to protect them. Understanding the World and The World Around Us form part of the key areas of learning for primary aged children, beginning at the Early Years Foundation Stage and running all the way through Key Stage 1 and Key Stage 2. Biodiversity and conservation is a big part of this, and is referenced across Science and Technology subjects too. By engaging in projects to make the school playgrounds “pollinator friendly”, schools can not only play their part when it comes to supporting conservation and the environment, but can offer children essential first hand and enriching learning opportunities, as they experience for themselves what the concepts of biodiversity and conservation are really all about. Going pollinator friendly is a wonderful way of making school grounds more visually inspiring too! 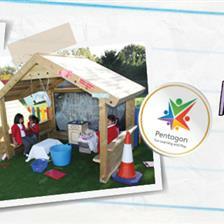 By creating enticing, relaxing and natural sensory areas, creating specific features and sections within the school grounds, breaking up larger spaces and offering entertaining and educational focal points, the benefits are endless! Making your school playground pollinator friendly can be as simple or as detailed as you like! You don’t need vast amounts of space to get started - sometimes just a cosy corner is all those pollinators are looking for! Here we share some ideas as to how you can get your school grounds full of busy bees of all kinds! If you have large school fields then they are perfect for scattering and sowing a variety of wildflower seeds. If not, then even just a wild meadow strip, perhaps at the end of the playing field or down one side of a football pitch, is fantastic for attracting pollinators and offering them a food supply. Take children outside to do all the planting and scattering themselves so they know where to expect to see the flowers start to grow come the spring. Try to sow or plant native flowers that easily thrive, and don’t cut the grass in the area that you are using so that they can really settle in. You might even find the odd grasshopper! Daisies and dandelions may be considered as weeds by some, but the pollinators love them and they don’t need any encouraging, they just seem to turn up! Anemones, daffodils, bluebells, primrose, poppies, heather, the list goes on. They all look cheery and colourful in the school grounds and are perfect for a whole host of insects. If you can’t afford to lose any of your school field to meadow space, don’t worry! You can create beautiful mini meadows in wooden Planters! 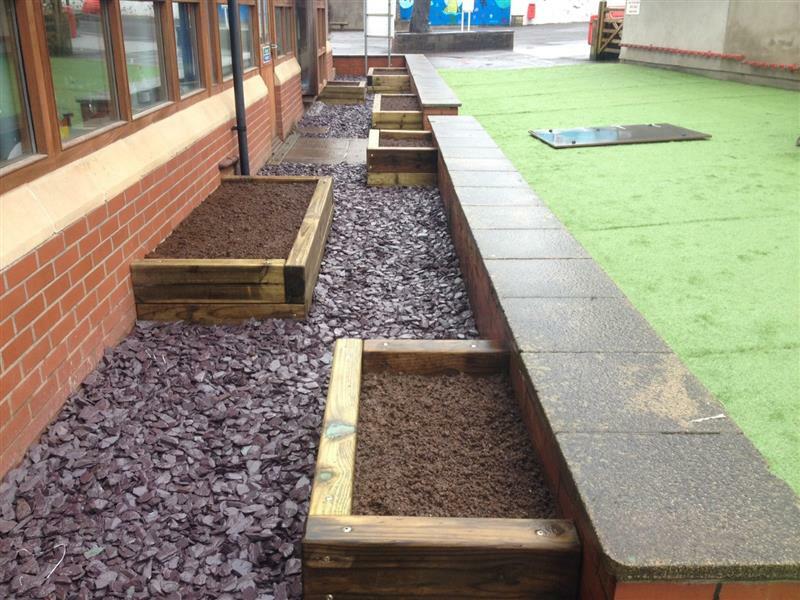 Wooden Planters placed outside the entrances to classrooms, under windows, dotted around the school playground and placed around the entrance to the school or along pathways (pretty much wherever you like!) can make wonderful little wildflower meadows! Follow the same principles, plant some grasses and wildflower seeds and bulbs and watch them come to live with pretty flowers and buzzing insects. Having a wild meadow area in your school grounds serves a dual purpose, as it provides a wonderful resource for taking Early Years learners on bug hunts and teaching them ways to connect with nature. Bees love brambles and you will always see them buzzing around the blossom before the fruit arrives and offers food for other wild creatures such as birds and squirrels. Bramble very often turns up by itself, and it’s easy to get hold of and plant yourself if not. Of course, brambles need to be maintained as if left to go too crazy they will take over the place, and their prickles are sharp. It does pay to allow it to grow in certain areas where it can be managed, perhaps down the side of a fence or on wider pathways, and only cut back a bit when starts to creep out too far. 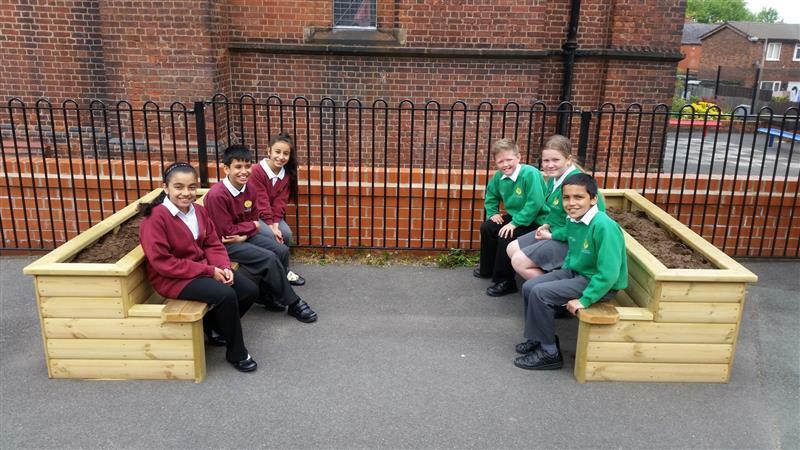 If you want to go the whole hog, installing a multifaceted Wildlife Area in your school grounds is a guaranteed way of attracting a whole range of pollinators, as well as a variety of other wild creatures. With the additional benefit of grasslands and pond habitats it allows several ecosystems to thrive. 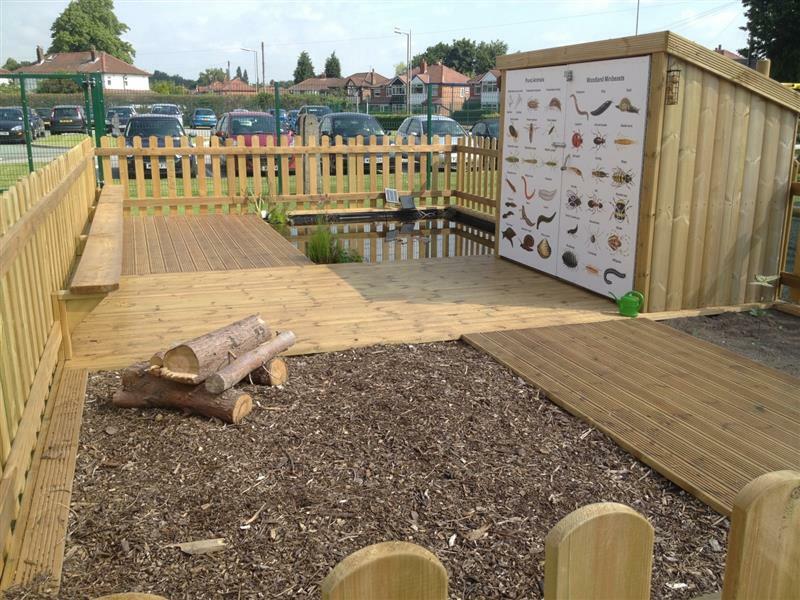 A Wildlife Area is a fabulous resource for outdoor learning as well as supporting pollinators and encouraging biodiversity in your school grounds. Please click here for further details about our award-winning Wildlife Area. A purpose-built Bug Hotel provides a haven for several different pollinating species. It is a sturdy and stationary feature which over time will continue to encourage and host a whole range of creatures and will allow children to observe them up close and learn more about them. Because it has different levels, it can support both flying and crawling insects, and pollinators will be sure to use it as a base if it is located near to a pollen source. A Bug Hotel is an ideal resource for first hand learning, such as Key Stage 1 and Key Stage 2 lessons on life-cycles and habitats. Please click here for further details about our Bug Hotel. While honeybees and bumblebees live in social colonies, all other bees live alone. Solitary bees like to nest in hollow plant stems. You can replicate these nesting features very easily in your school grounds, using hollow bamboo canes. Provide children with a pile of hollow bamboo canes, cut down into sections of 10-20cm long each. Ask them to tie little bundles together with pieces of string, then go out into the school grounds and hang them up for the bees to come and visit! For best results, hang them in sunny but sheltered positions at least one metre above the ground. Take it a step further by asking children to make their own design ideas for the bee nests, using different shape nests such as circles, ovals, pentagons and hexagons. Bamboo canes stack closely together making them ideal to set up in different shapes, and children can have fun experimenting with this. 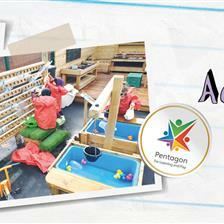 It is a good opportunity to combine Early Years mathematics within the activity! Once the nests are hanging up around the ground, take regular opportunities over the following weeks and months to go outside and very carefully inspect them to see if there have been any visitors. You will know if a female solitary bee has set up home, as you might notice some of the entrances sealed off with mud or leaves if she has put pollen food parcels or even laid an egg inside the hole. Planting a pollinator friendly sensory garden is another great activity for children to participate in. It is best to use wooden Planters or Planter Benches to make sure that the contents are easily accessible to all children who would like to visit and maintain them, including those in wheelchairs who may not be able to reach down to the ground. Children with Special Educational Needs can really benefit from a sensory garden when it comes to helping to develop sensory processing, and of course the bees love flowering herbs so they are guaranteed to attract plenty of pollinators. Use peat-free compost, and be sure to plant aromatic herbs such as lavender, chives, mint, rosemary, thyme, sage, basil, oregano and marjoram, so the herb garden smells just as good to the children as it does to the pollinators! They are a great food source for humans and pollinators alike, and a prompt for learning lots of new vocabulary and open discussion on these subjects. A recycled composter is a simple, useful, cost effective and environmentally friendly way of disposing or organic waste within a school. Think of all that fruit peel from break time that could be used to fill it up (and save space in your waste bins)! Once it has broken down and started to form compost, this can be used to feed and fertilize your planting areas, encouraging plants and flowers to thrive and subsequently attract more and more pollinators year upon year. 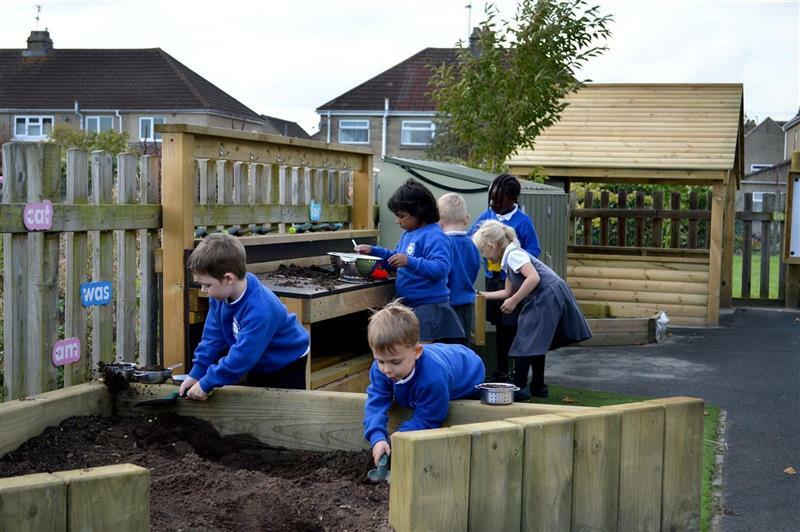 It is an essential part of the learning and education process that children are involved in the process of making the school grounds pollinator friendly, from initial learning as to why pollinators are important, to designing, creating, building and maintaining the resources themselves. Once they are engaged and their interest has been captured (which is inevitable!) they will probably come up with some different and exciting ideas of their own too! 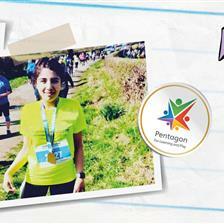 Young designers and engineers will become a pollinator’s best friend! Allowing children, the responsibility of making it their own is a huge part of gaining their interest and teaching them to be responsible and aware of the need for conservation, and how to go about it, as they grow into adulthood. Keep children involved from the offset with planning out your ideas and designs for how you are going to make your school grounds pollinator friendly. Talk to them about what pollinators are, what they do and why they are so important. Then ask them the questions as to how attractive they think the school grounds are to pollinators and what they could do to improve the school environment in this way. What would make pollinators want to come and set up home in their school grounds? What does “pollinator friendly” mean? Use the above ideas as a guide and see what captures their interest. Next, give children a large sheet of paper and some coloured pens, and ask them to draw out their own view of what the school grounds would look like if they were more pollinator friendly. Key Stage 1 and 2 learners could use scale maps and plans of the school grounds, or create their own, and map out their ideas on the plan. Consider factors such as shelter, exposure to weather conditions, access to sunlight and plant varieties to suit all different types of pollinators. In small groups, ask them to walk around the school grounds observing which areas might already be pollinator friendly and where there could be room for improvement. Look for quiet corners that could be transformed with minimal impact on existing use of the school grounds. Let them practice their mathematics skills by taking measurements. Consider quantities of wildflower seeds and how much they will need to plant their area, for example if x grams of seed are needed for 1 metre of soil, how many grams of seed are needed for the whole field? Have fun designing the mixture of wildflower seed you would like to use. What colours and what shaped or scented flowers would you like to see growing? Pool their ideas all together and see if you can come up with an agreed strategy plan. 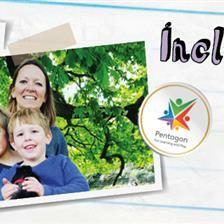 It would be wonderful, then, for children to take part in putting their plan into action! If you don’t have the scope to plan for the whole school grounds, don’t worry. It could come down to something as simple as setting up a few wooden Planters in a designated area. Every little bit helps! Planting Trees are a brilliant resource for smaller playground areas. Designed to look like real trees, but with flat shelf-like branches that contain holes for children to plant several little potted plants in them. Fill them with a selection of colourful and scented bedding plants and the insects will love them! Another option is to take just a section of the school grounds where there are already some trees or bushes, a corner of the school field for example, and ask children to design a nature trail through the area. They can create little pathways with strategically placed signs and symbols that they have made themselves, and dug out areas where they can sow wildflower seeds and plant bulbs. Add in a few Planters if you can to create different layers of height. If your pollinator friendly area is by a wall, add a Wall Mounted Mirror to catch and reflect the light and make the area appear bigger and brighter and draw more pollinators to it. Once your school grounds are transformed into a pollinator friendly paradise, there is one important thing left to do - enjoy them! As attractive as they will be to insects, they will be attractive to children and teachers too! Whether you use the areas for outdoor investigative learning, inspiration for outdoor lessons, natural resources for science, or just for pure sensory enjoyment and relaxation, your pollinator friendly school playground will make outdoor learning and play time that bit more special. If your school is keen to create natural habitats for pollinators, please Contact Us to see how we can support you. 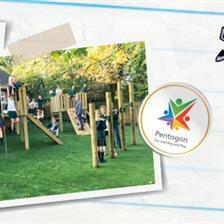 We have a superb range of natural products to encourage different types of wildlife to your school grounds. You may be surprised to see just how many possibilities there are!